A vintage needlepoint design adapted from a 1920's French magazine called La Parisienne. This fashionable gardener displays all the style and grace of the period. 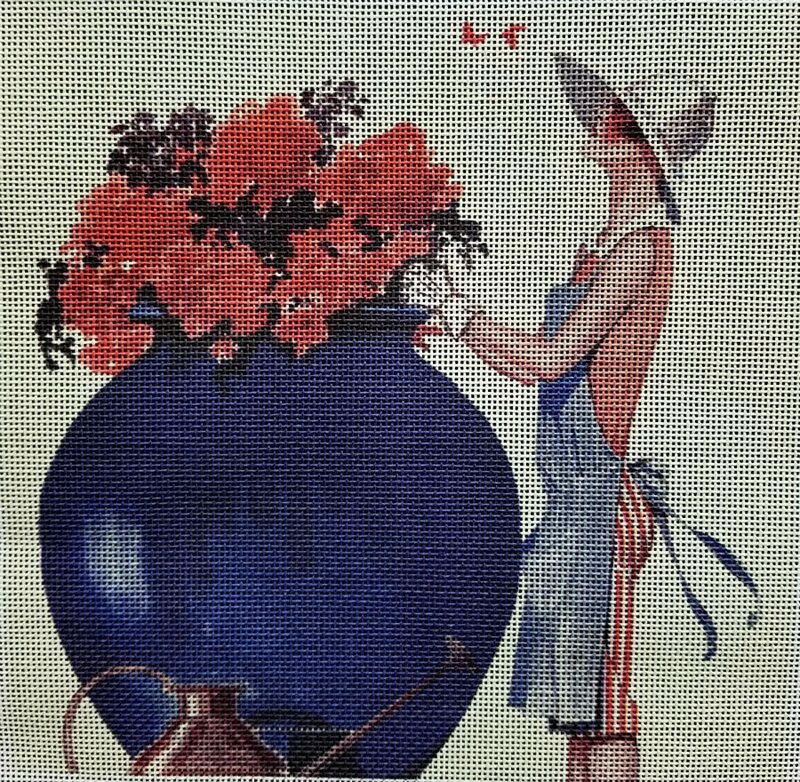 This vintage needlepoint fashion gardener design is suitable for an intermediate stitcher.